August 2018 Note: 3 of these 4 homes were sold last year. The 4th one was rented to a friend of the builder who lost their home to hurricane Harvey. This home is now back on the market for sale. 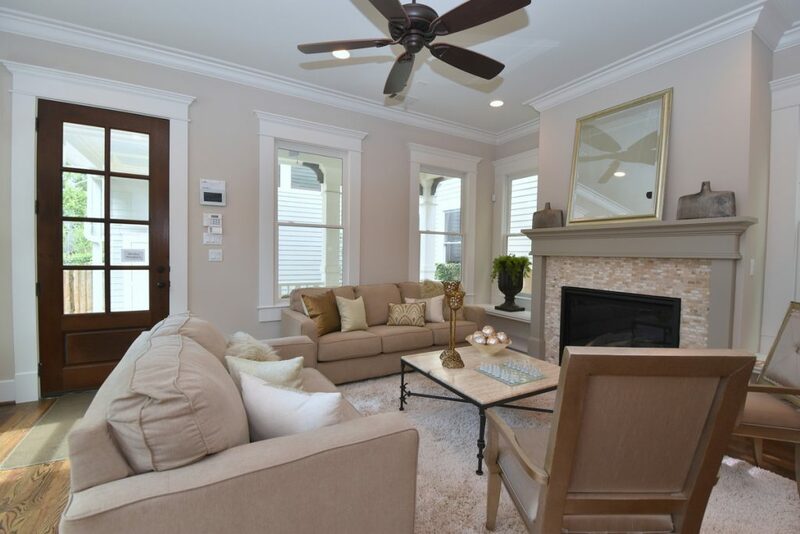 See 212 W 24th St. in Houston Heights. Some people enjoy the privacy that a front-loading home offers. Just pull into the garage from the street, lower the door behind you and you are away from all the street noise, traffic, view, etc. Others enjoy their home’s porch and front yard. You now don’t have to chose. 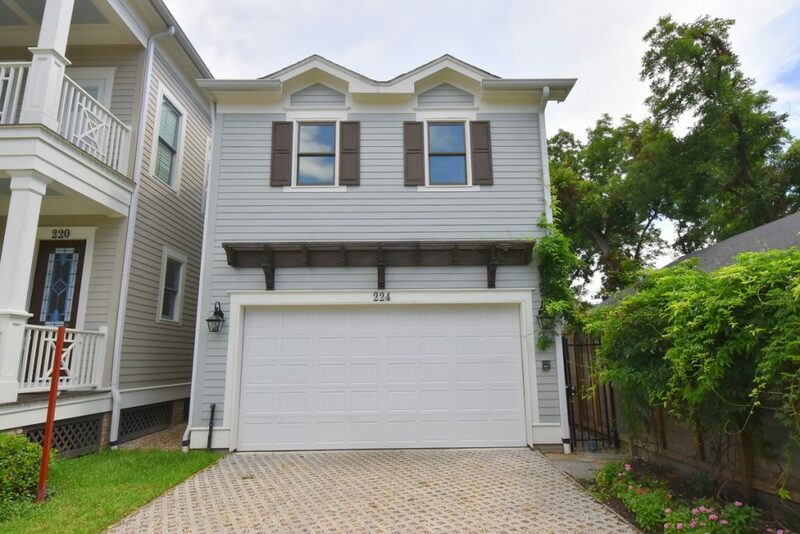 These two Heights homes have the garage in front, but also have private front porches. 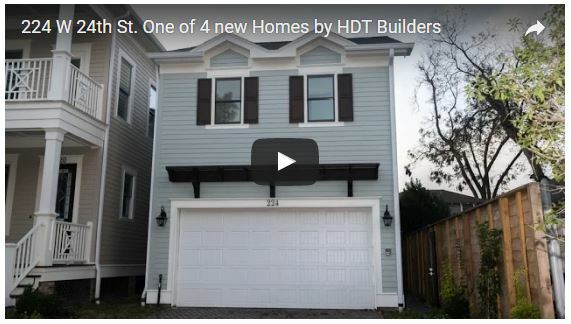 HDT Builders built 4 new homes in Houston Heights. Two offer the privacy of the garage in front, but place the house behind the garage, separated by a private courtyard. The house is attached to the room over the garage, but not attached on the first floor. Sit on your front porch or in the courtyard, but not be seen from the street. 224 W 24th St in Houston Heights is a Unique Home. Drive up the permeable-paver driveway and enter through garage or video-entry side gate. This “softer look” permeable drive isn’t just a giant slab of heat-reflecting concrete. It lets the rainwater soak into the ground instead of running into street. 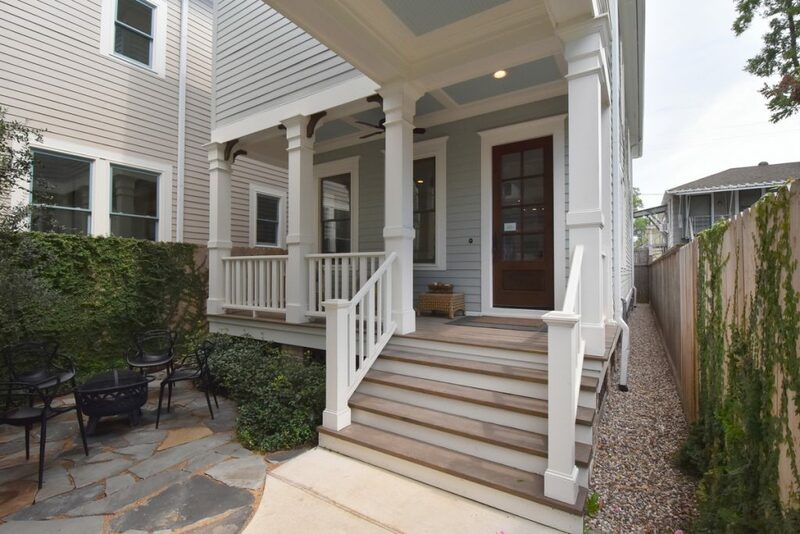 Once you enter through the garage or through the side entry (video intercom or smartphone entry) you come into private landscaped courtyard and onto your inviting front porch. The house is not an extension of the garage, like most, but an inviting house set privately behind it. 224 W 24th St: 2639 SF on 2969 SF lot. 2 or 3 BR/3 full Bath/2 Car + large flex space over the garage. This game room/studio/office is connected to the second level. 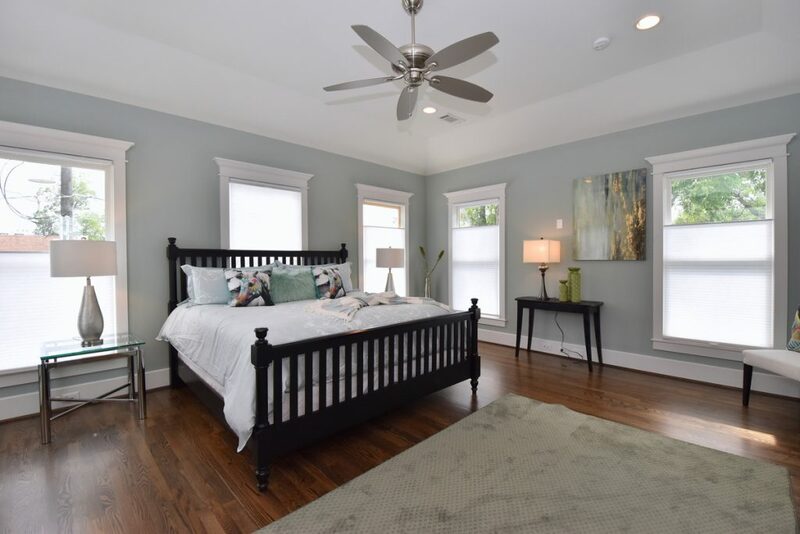 Priced at $650,000, this flexible floor plan offers all the artistic touches and quality construction that Dee, of HDT Builders, is known for. High-end DCS appliance package was selected for its 6-burner stove. It also has a 2 door dishwasher, and refrigerator with French doors plus drawer freezer. The kitchen features a deep stainless apron sink, artistic faucet. 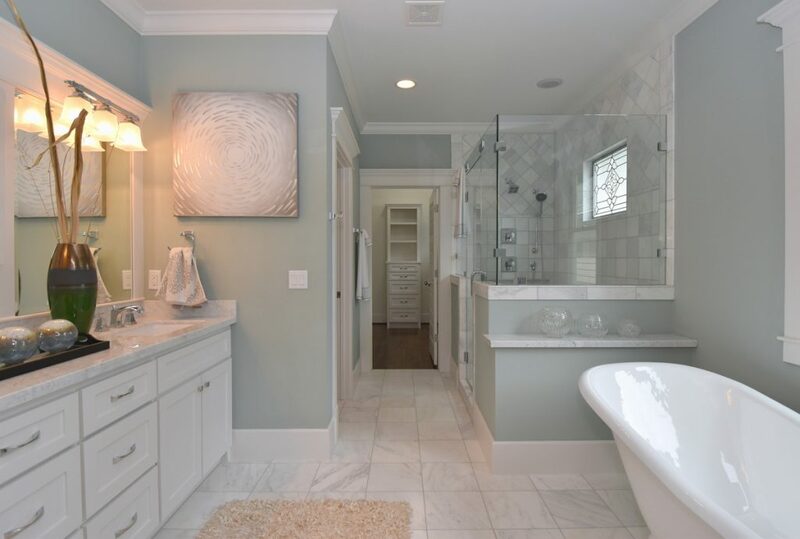 HDT Builders is known for its spa-like master baths, quality construction and attention to detail. 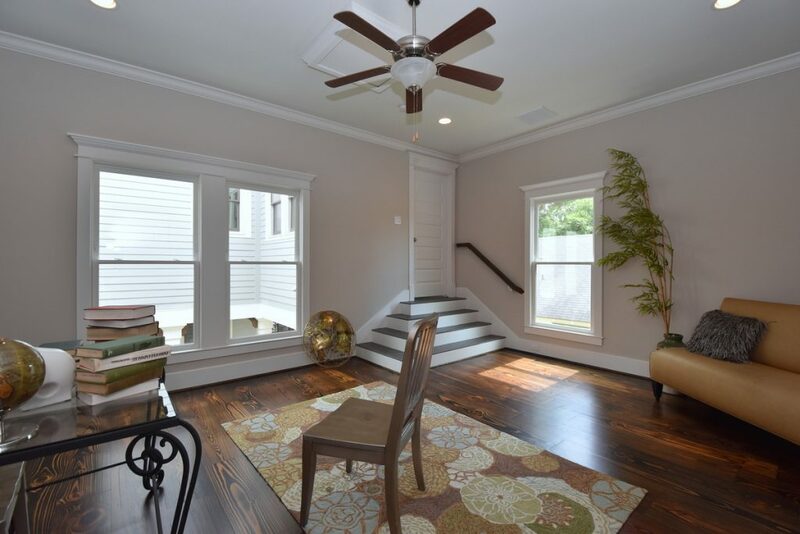 The Slideshow at bottom has many more images of this recently completed home in Houston Heights. Click on 224 Floor Plans for better understanding of layout. 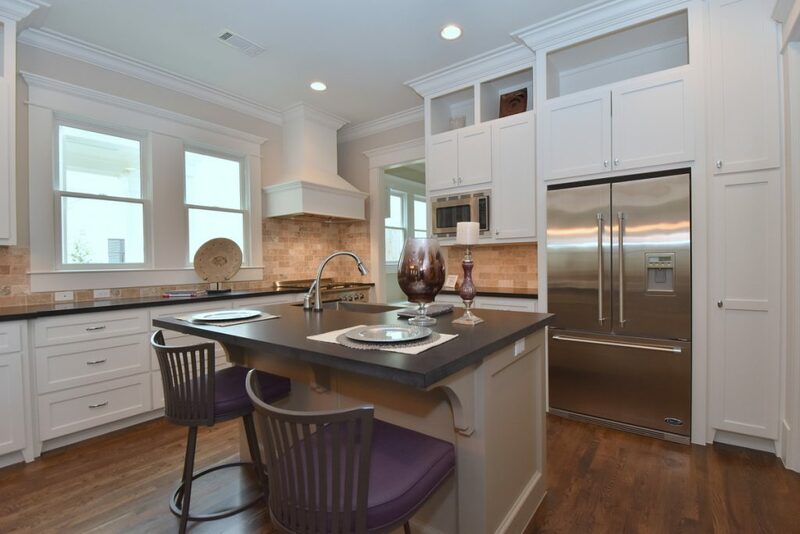 Chef’s kitchen features high end appliances by either Bosch or DCS. Master bath has marble floors, counter tops and shower surround. Take your choice of spa-like shower or claw foot tub. Click on image below for a slideshow of 224. Open houses most Sundays 2-4 pm, or contact Rich Martin for a showing. 713 868-9008. If you are wanting a Heights home with a separate apartment look at 216 & 220 W 24th, all part of the same group of homes.